Land Products is able to offer a comprehensive maintenance service. With a variety of specialist equipment and experienced teams we can provide a reliable and professional service to both the smallest and the largest of sites. 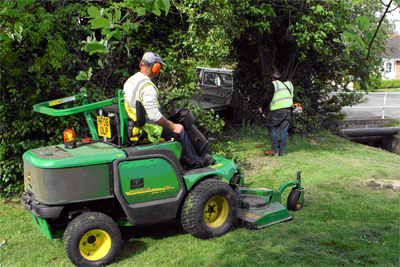 Lawn and shrub maintenance along with weed control and litter collection are some of the everyday activities our teams undertake.